This is a very pleasant $1 rainbow that is sure to please. 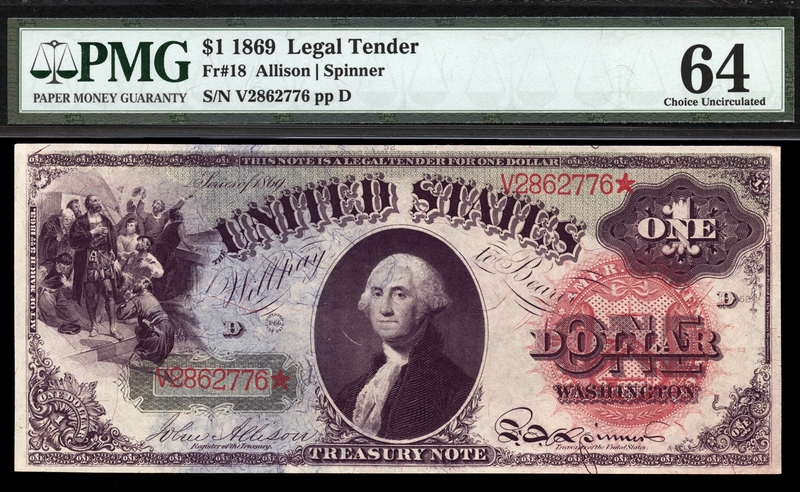 Good color coupled with great margins highlight this gem note trapped in 64 holder. 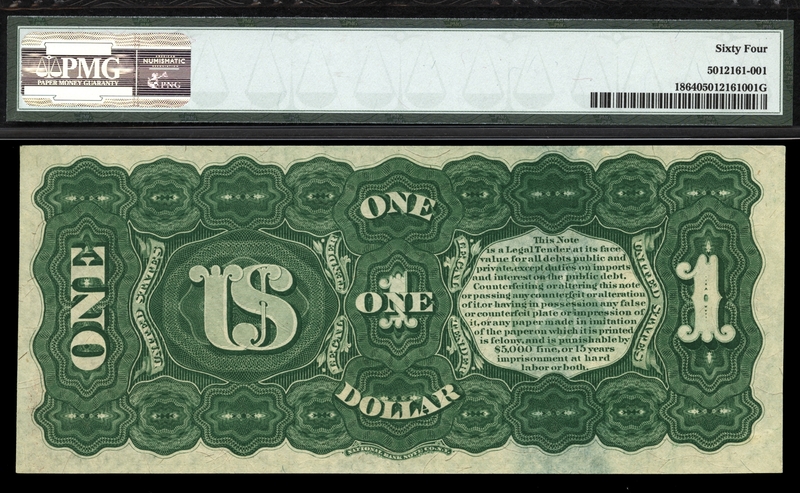 Certified by PMG as Very Choice Uncirculated 64; this example will fit nicely into any numismatic collection.